On 20th and 21st June, our Empowering Design Practices project ran a two-day Design Training course (based on Buildings by Design, the longstanding course developed by The Glass-House) to support three groups who look after a historic place of worship to develop their design skills and knowledge and explore the potential of their buildings. 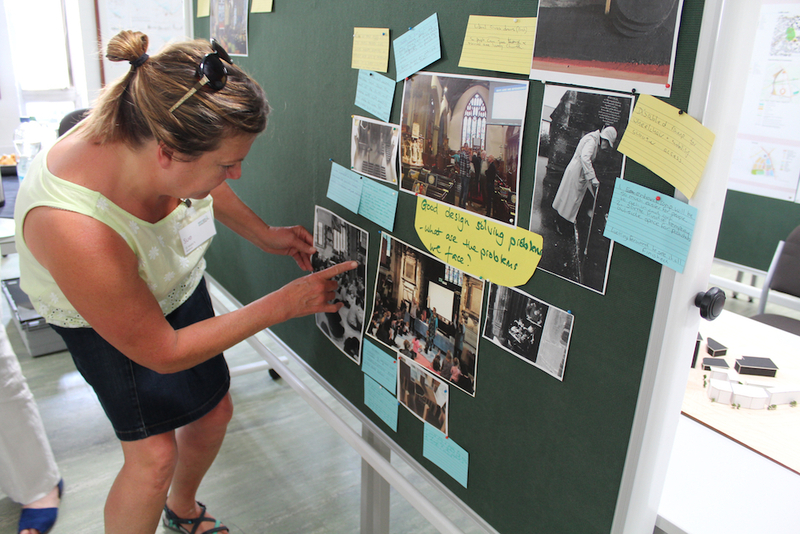 St Mary’s Church in Bideford, Devon, a large, well-used Victorian Anglican church and community space in need of alterations to allow them to function more efficiently and effectively and become more visible in the town. 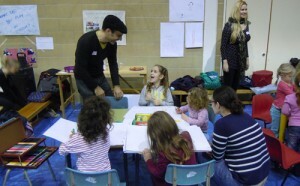 Community Church Edinburgh – their 19th century building, built in the Free Church of Scotland tradition as a centre for preaching, has a vast space for worship but needs more ancillary spaces to accommodate smaller and more diverse uses. New Testament Church of God, Cheetham Hill (who recently bought the Grade II* St John the Evangelist church in the area) – they want their building to be not just a place of worship, but a community resource hosting a heritage centre with exhibition displays, study/visitors areas for talks, activities, tours and a café. A key support mechanism used by The Glass-House for more than ten years, the course provided participants with a grounding in design principles and processes, shared inspiring examples and stories and facilitated a supportive, creative space with independent expertise to explore design ideas and challenges, led by Glass-House Enabler and EDP partner Leo Care (Live Works). As part of the first day of the course we heard an engaging presentation by EDP consultant and architect Stephen Smith (of Wright & Wright Architects) of his practice’s thoughtful approach to the renovation of Magdalen College Library at Oxford. 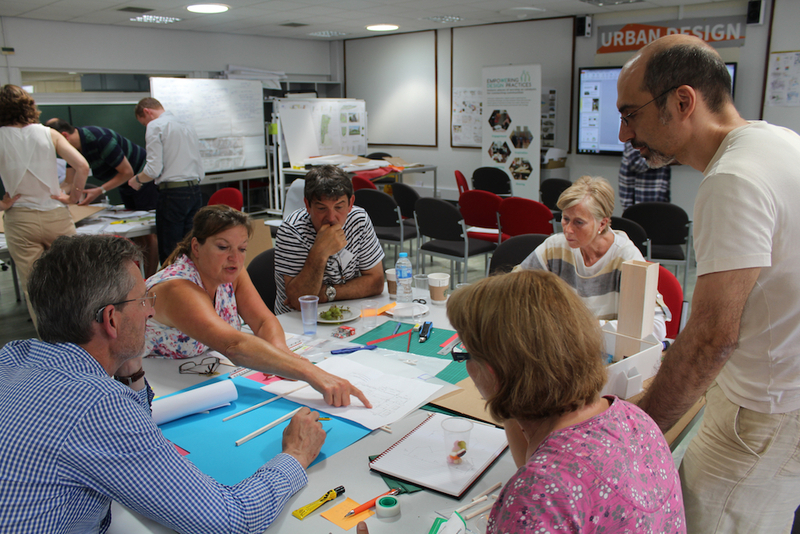 Later we took participants on two study visits in Manchester to learn from the practical experiences of people and projects to transform historic buildings for diverse uses. 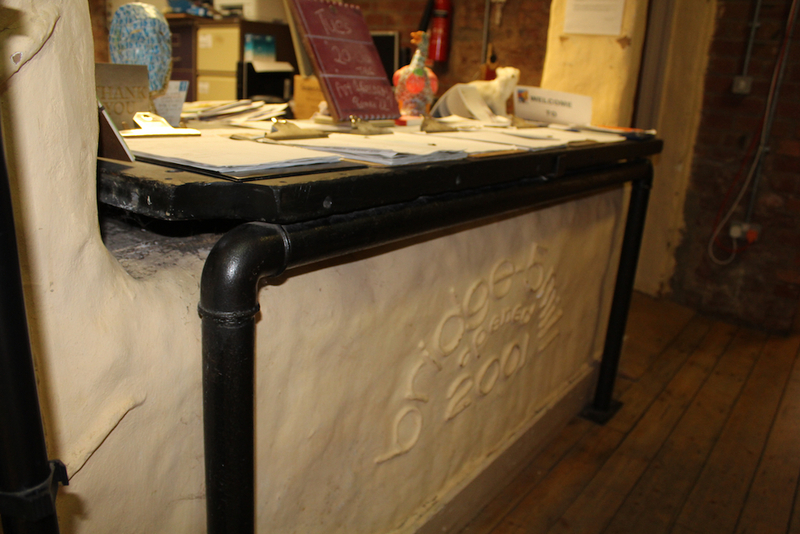 At “Manchester’s Sustainable Venue” Bridge5Mill we learned about the sustainable re-use of an old silk mill as a centre for an environmentally conscious community of interest. 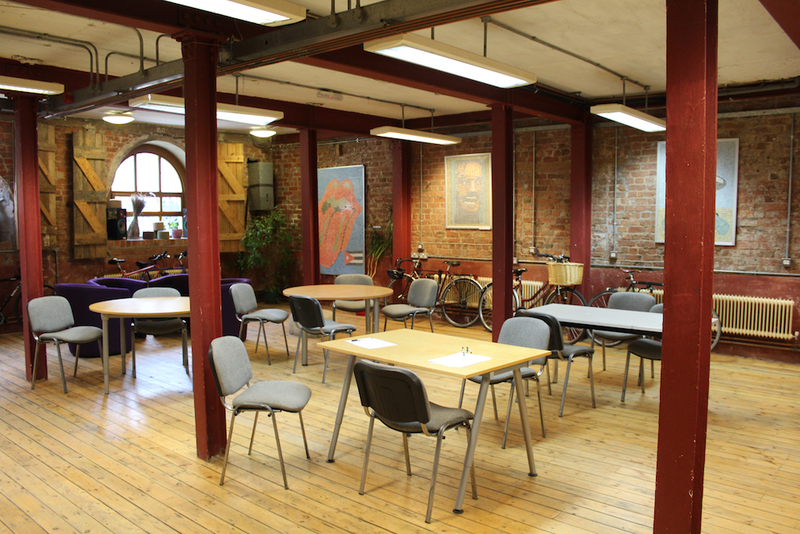 The renovation of the building incorporated a huge range of recycled materials, straw bale elements internally and externally, as well as providing training and apprenticeship opportunities for local people. 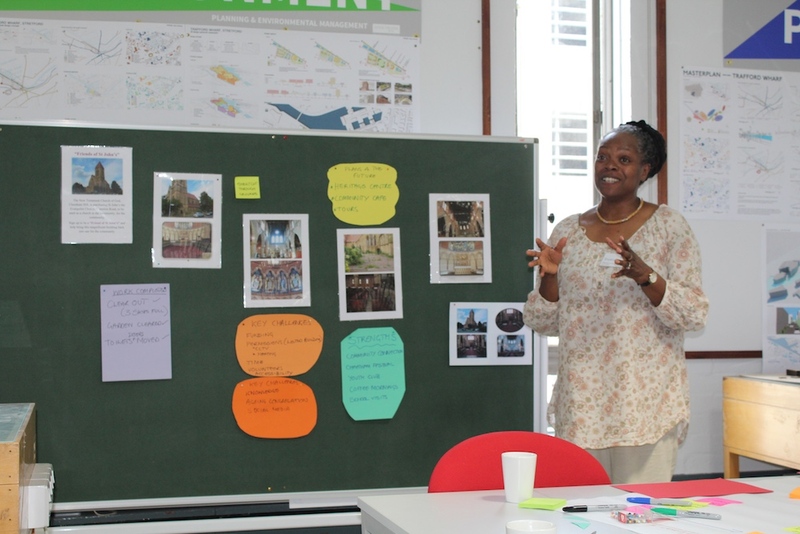 The visit also shed light on the challenges of sustaining a community-based organisation over the long-term and the value of partnership working. 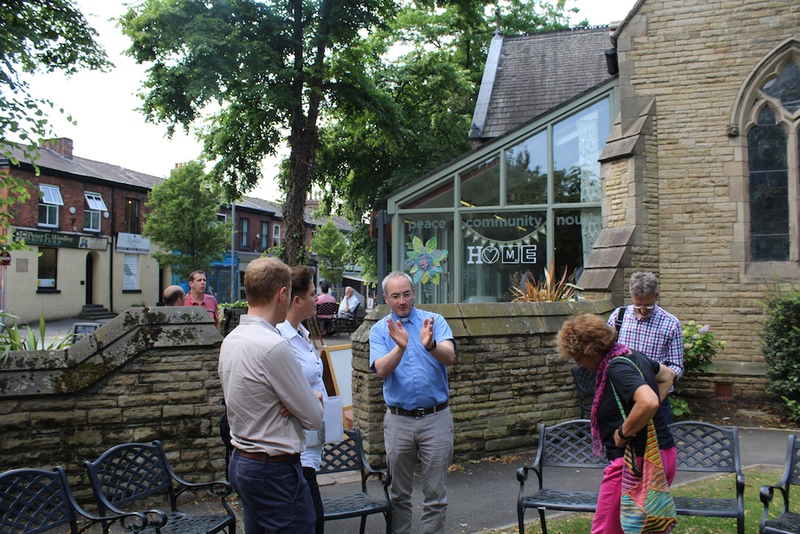 The Home community cafe at Emmanuel Church in Didsbury showcased a partnership between a church and social enterprise, to host a cafe and free community space. A new glazed extension on the church was added to accommodate seating for the cafe, and the cafe uses signage playfully and creatively to create a welcoming and warm atmosphere for visitors. 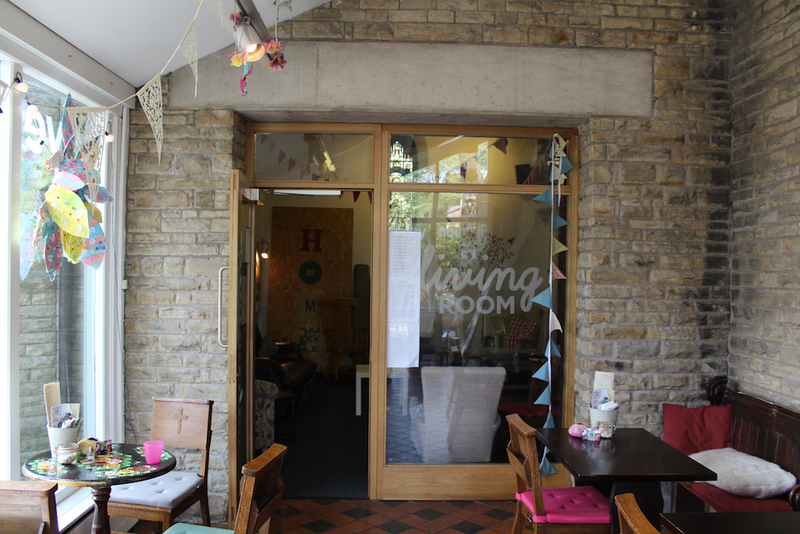 The ‘Living Room’ space can be booked for free by not-for-profits groups and is host to a wide range of activities including local support groups, children’s Lego Club and meditation classes. 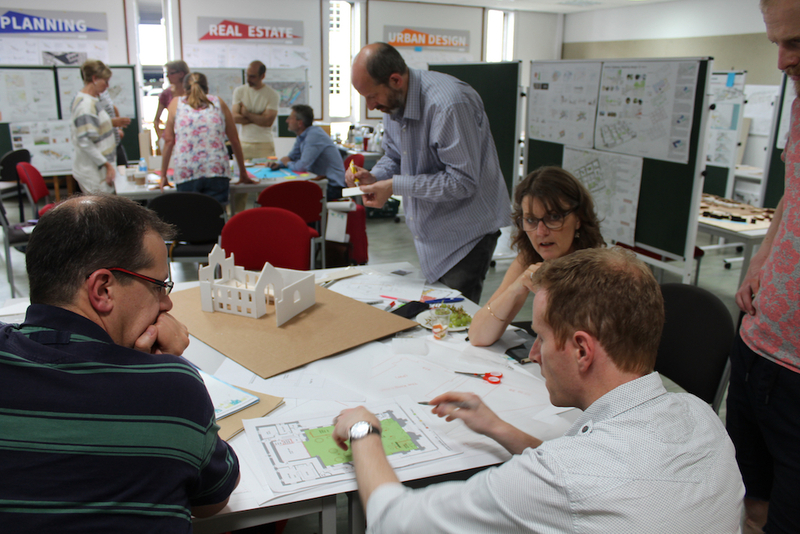 On the second day, we guided the participants through a variety of exercises to help them to reflect on how their buildings are used and how they sit within their wider environments, develop their visions and explore how design can support them to realise their ambitions. 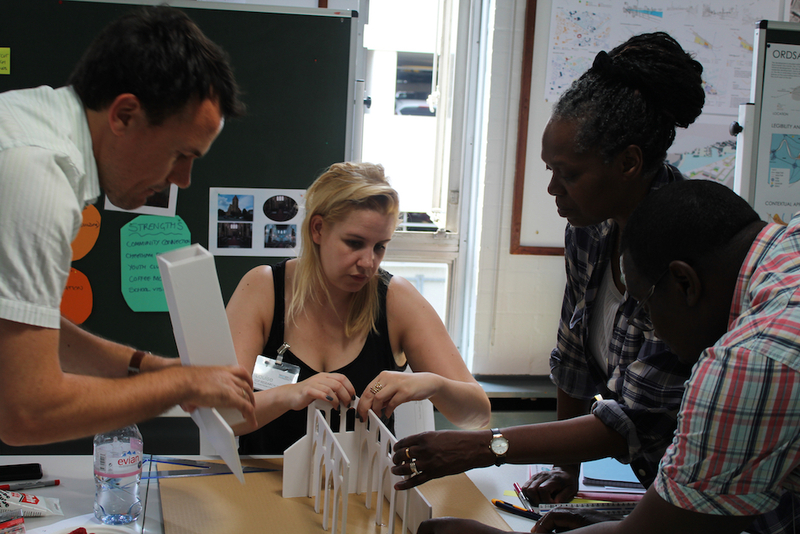 Critically, as groups started to get to grips with the physical scale and structure of their buildings in the model-making phase of the course, key ideas and issues could be tested and explored. 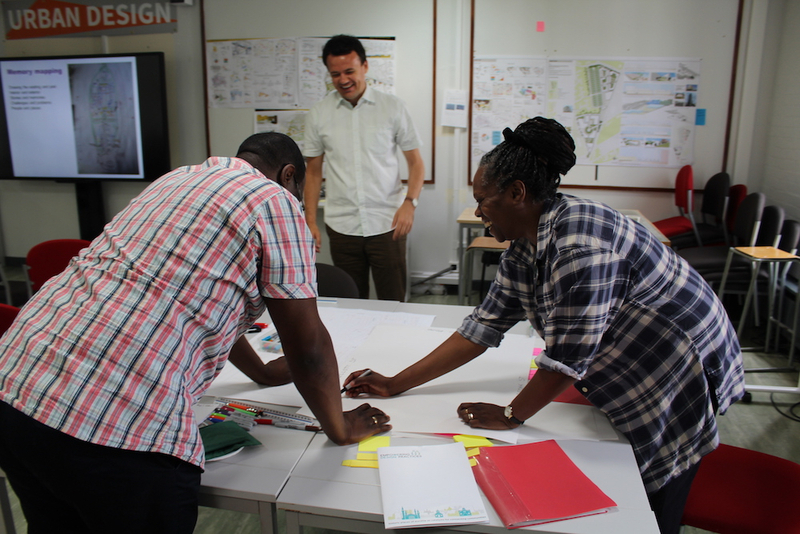 Working with our team (which included architects and design enablers), the groups found a new language and tools to help them to explore and convey aspirations. 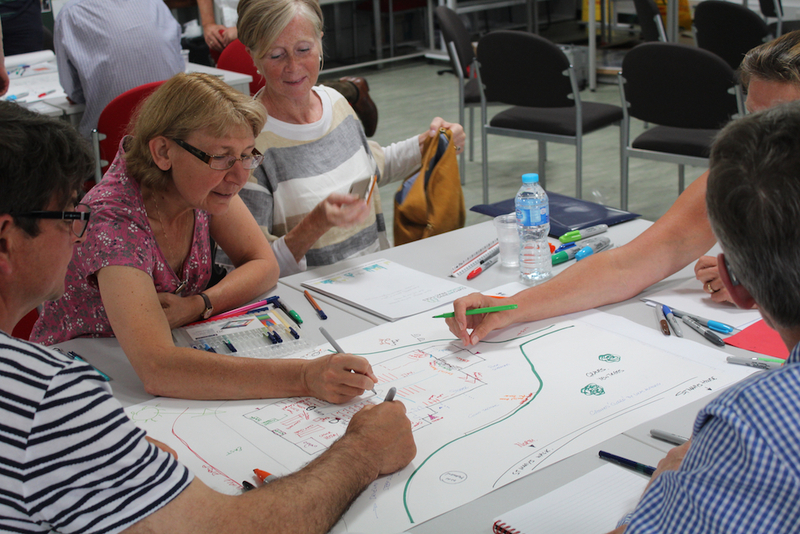 It was exciting to see groups build in confidence, apply learning and develop their ideas further. 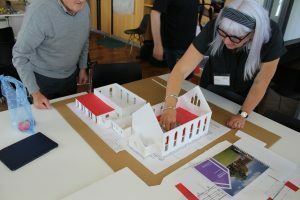 We look forward to following their progress as they continue their design journeys to improve and sustain their treasured historic buildings.